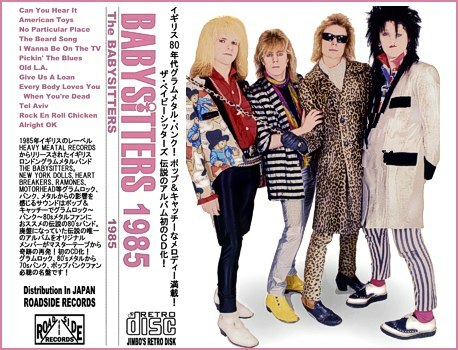 1986JapanOBI Babysitters 1985 Album, CD Release - NOW! International shipping is first class from USA $3.75 for 1 CD, $7.50 for 2. NOW BOTH AVAILABLE DIRECT IN JAPAN! 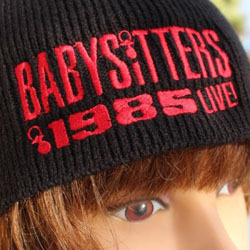 International shipping is first class from USA $3.95 for 1 Hat. New found Tracks! - Remastered! - New Art! Recorded live over two sold out nights at the Marquee Club in London W1 by the John Bidgood Mobile recording studio. Studio tracks recorded at the Basement Studio, Carnaby Street, London W1. All tracks remastered at the Red Barn Recorder studio in the Southern California desert 2014. Certified worldwide, the commercial success of Live at the Marquee EP was equaled by its critical reception. Generally regarded as one of the greatest albums of all time (by the band), the original 5 tracks represent a creative tour de force that explores the band's dynamic musical range, from the driving rock of "I Wanna be on the TV" and acoustic arrangement of "Frank Bough" to the rock spectacular ♠Overkill♠ . 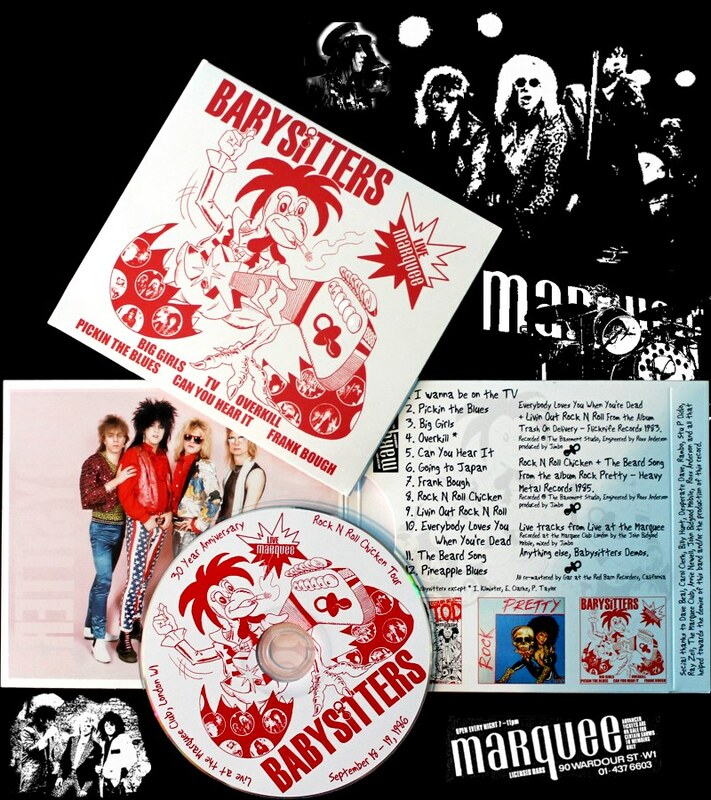 Deluxe CD package includes the original artwork, plus the newly created disk and center cover artwork. The original album is newly remastered and features 5 live songs from the Live at the Marquee recordings which includes 1 new song not on the original EP. 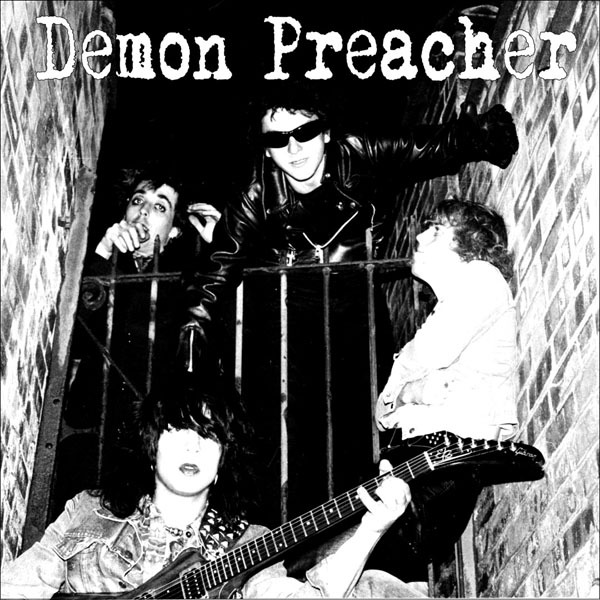 4 tracks from early compilation albums and previously unreleased studio outtakes. 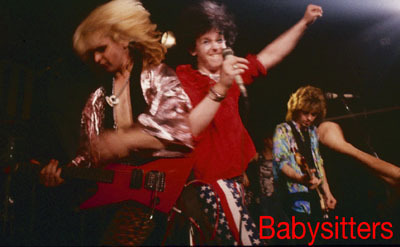 The Babysitters were the definitive rock band. It wasn't just their crushingly loud interpretation of the rock music -- it was how they incorporated sarcasm, ignorance, arrogance, timelessness, and a variety of other genres (most notably world music, Punk Rock, Spoon Playing and British folk) -- into their sound. Cover made from the original cut and paste 12 x 12 inch artwork from 1986, that is cut with sissors and pasted with glue. Front cover chicken from original drawing by Ray Zell in 1985. It's hard to believe the original artwork that I did for this record survived the thirty years. The Chicken and back cover was originally made for a record I wanted to make that was to have the Rock n Roll Chicken as an A side and American toys, live at the Aylesbury Civic Center on the B side? 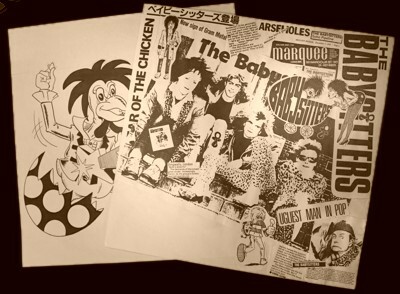 The Rock n Roll Chicken (Easter mix as it says on the art work was to have previously unreleased tracks and an interview. Some how this was what turned into the Live at the Marquee EP. IMPOTANT NOTE: This record is NOT intended for use in life support systems or any application where its failure could cause injury or death. Was this CD made on a computer? No, this is NOT a burned CD or CDR. They were made by a professional CD manufacturing company. Are you going to re-release the 'Sitters album? 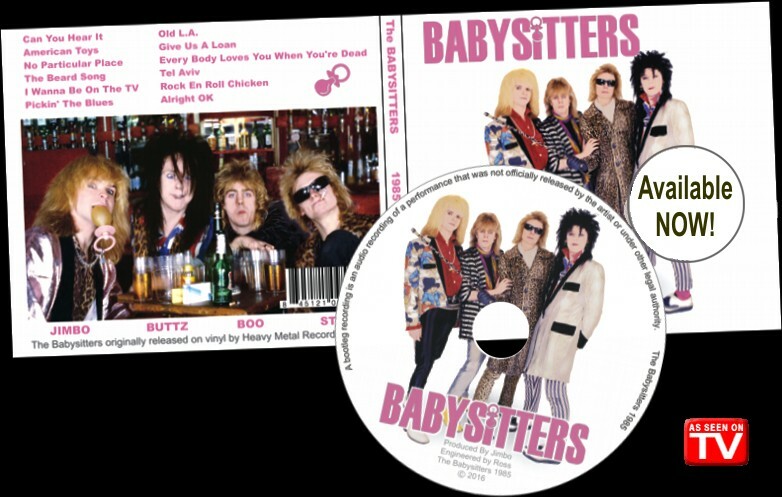 Were the Babysitters the best band in the whole world? How long does shipping to Europe take? How long does shipping to Norway take? 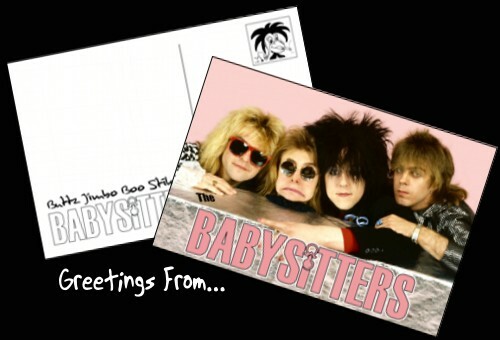 Join the 'Sitters mailing list! So I've been working on this project for over a year. I finally found a local studio that I could trust with the old magnetic tapes only to be told they might be too old to play. It turns out hat professional ampex 456 tape was worst than cassette tape when it came to lasting 30 years. The quarter inch Live at the Marquee lasted 3 plays. I have some cassette that play better but they only have a limited number of plays as the brown stuff comes off each play. I found some great tracks and included a few of them on this CD. Many more to come. I converted most of what I have to digital and then looked to see what I had. First thing I found on quarter inch was the extra "I Want to be on the TV" track that never made it to the Live at the Marquee EP, that had to be included. And why not put the tracks from the 2 compilation albums we were on. These and others were put through thousands of dollars of digital processing equipment to improve the sound from 30 years ago. It never felt like we were doing much with our time back in the day but there are a lot of recordings that some how happened to be worked on. I also have about 30 rolls of film from my camera in the 80's to go through. The inside cover pic was taken for some Japanese magazine on medium format color transparency; there are others to go with it. I also have negatives from the rest of the film for the back cover of the Babysitters album taken at Dingwalls in Camden town.